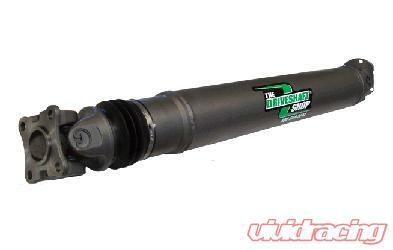 This is the complete Aluminum Driveshaft for the Skyline platform, its weighs only 18lbs and eliminates the factory 2 piece shaft. Its a 4" 6061-T6 aluminum shaft that is a direct bolt on kit. By removing the factory 2 pieces the car will lose the excessive motion caused by the hanger bearing moving up and down when you step on the gas. This will make the car react faster to throttle input and make the car feel more responsive. Rated to 1200HP with a 1-year warranty.